I was recently reading some predictions about what the electrical generation industry would look like in 10 years. There are many widely divergent opinions reflecting a large amount of uncertainty in future developments. I decided that I would write two blog postings which express my worst fears and best hopes for the renewable energy sector over the next 5 years (my already “iffy”clairvoyance gets really fuzzy after 5 years). This is the Best Case Scenario. I actually found this posting to be difficult to write. There are so many different accomplishments and milestones that I could imagine as part of a “Best Case Scenario” that it was hard to know where to start and impossible to even get close to an end. But I have described some of the things that I believe would represent significant events and would make it clear that the success of renewables is inevitable. I have also tried to list things that have at least a chance of actually happening. I have focused on the United States, Canada, and Europe because I some idea of what could be accomplished in those jurisdictions. In many other parts of the world similar accomplishments are possible and may even take place more quickly. 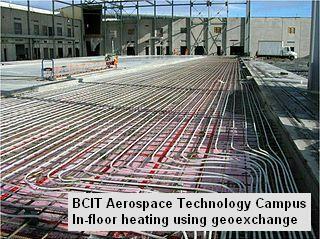 2013: The Federal governments in both the U.S. and Canada enact building code changes that require Geoexchange systems to be installed rather than traditional HVAC for all residential developments of 20 houses or more and all commercial/industrial buildings of 5000 sf or more. Geoexchange systems provide heating and cooling using half of the energy of traditional HVAC and effectively clip demand on cold winter nights and hot summer days. A North American car-pooling initiative is kicked off with extensive advertising regarding the financial and environmental benefits of reducing single-occupancy-vehicle trips. HELCO in the State of Hawaii confirms the development of an additional 50 MW of Geothermal development and calls for bids to develop another 100 MW as soon as possible. An agreement is reached between the Kentucky Utilities Company, the U.S. Army Corp of Engineers and Free Flow Power to develop 250 MW of Hydro-Kinetic power as part of the Olmsted project. 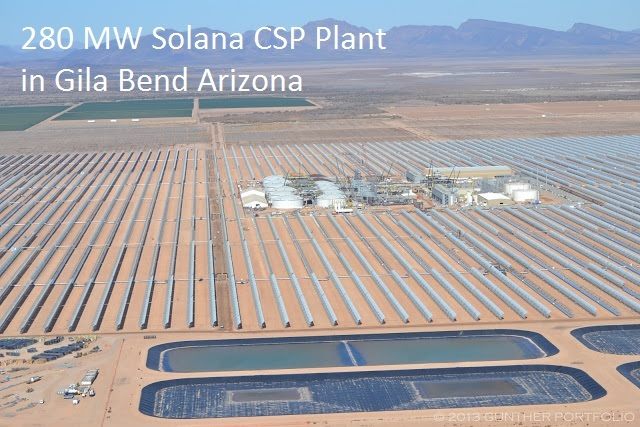 2014: At least 2 GW of Concentrated Solar Power projects which incorporate Thermal Energy Storage and extensive Photo-Voltaic (solar panel) components are approved for California, Arizona, New Mexico, and Hawaii. The PV components will be used from morning through late afternoon with the CSP ramping up in late afternoon and into the evening and night making the generation from these plants reliable and dispatchable. The facility on Maui will allow for the decommissioning of three oil-fired plants and will provide enough electricity to power a sizable desalination plant. The Production Tax Credit is eliminated for wind development in the U.S. This will slow down development dramatically which is desirable in the short term. A new tax credit of approximately the same value is put in place for energy storage development. A Federal mandate is issued which prevents Independent System Operators from charging a tariff on electricity extracted from the grid for energy storage. An International consortium is formed to advance research into energy storage solutions. Initial funding is set at $30 billion over 5 years. Oklahoma Gas & Electric exceeds the goals for its innovative Demand Response program by signing up a total of 200,000 customers, shaving almost 350 MW (5%) from peak demand. Utilities in many other states start implementing similar programs which emphasize public education and customer engagement in addition to promoting potential cost savings. 2015: A North American wide public education program is launched which focuses on electricity usage in general and the financial and environmental consequences of peak demand in particular. Electricity peak targets are set by major urban area and state and real-time information is provided through “weather report style” media segments, billboards and interactive displays in public areas. New public service cable channels in both Canada and the U.S. provide real-time information about energy use and conservation tips. The model for the campaign is the program instituted in post-Fukushima Japan. A North American electricity sharing agreement is signed which implements long-term price reciprocity between all jurisdictions so that electricity generation assets can be optimized across the continent. For example, wind generated electricity from the U.S. Mid-West and the Canadian Prairies and Hydro from Northern Saskatchewan and Manitoba could flow across borders at predetermined wholesale rates. A continental transmission upgrade plan is created which emphasizes east-west connectors to support “follow-the-sun” generation. Initial funding for this expanded grid is set at $50 billion over 10 years with financial support from tax revenues and ratepayers. An expedited environmental review and approval process is agreed upon. A demonstration project using flow batteries to store 100 MW-hours of electricity from a wind farm is built for a cost of $250 million. Two new installations of Beacon Power flywheel storage systems demonstrate the feasibility of storing electricity for up to 6 hours at a cost of $5/watt-hour. A combination electrolysis + fuel cell facility is built which can store excess electricity generated at night as compressed hydrogen gas with a full cycle efficiency of 25% and a cost of $5/watt-hour. 2016: Realizing that in the short term pumped storage is the most cost effective energy storage mechanism the governments of the U.S. and Canada reach an agreement to construct the largest pumped storage facility in the world using Lake Erie as the upper reservoir and Lake Ontario as the lower (hats off to Len Gould for this proposal which sounds a bit preposterous but actually has a lot of merit). The plan would involve the construction of a 60 meter wide canal from the Morgan’s Point Conservation area to a man-made reservoir on the heights above Grimsby. From there 10 penstocks 6 meters in diameter would be tunneled the 3 km to Lake Ontario, dropping some 100 meters. These penstocks would each be equipped with an 800 MW turbine so that the facillity would have a total generating capacity of 8 GW. At night or in periods when the wind was blowing strongly the turbines could be reversed to pump water back up to Lake Erie. If the cost of this project was $100 billion for 96 GW-hours of storage (assuming that the facility generated electricity 12 hours a day and pumped water up to Lake Erie 12 hours a day) that works out to just over $1.0/watt-hour, about 1/4 the cost of current battery technology as well as being much more scalable and reliable over the long term (the $100 billion is a SWAG based upon the 10 km Niagara tunnel completed in May, 2013 which cost $1.5 Billion to add 150 MW of capacity as well as the new channels and locks for the Panama canal which are estimated to cost $6.2 Billion + a lot of contingency). The public education program is starting to show very positive results with peak demand regularly being cut 5-10% on a voluntary basis. An accelerated shift in consumer preferences results in purchase of energy efficient appliances resulting in an overall drop in electricity demand of 2% despite a strengthening economy and growing adoption of electric vehicles. In Europe the North Seas Countries’ Offshore Grid Initiatiative begins construction of the interconnections required to effectively use Norwegian and Scottish reservoirs as energy storage for northern European wind generation. A complex funding model and parity pricing regulations are included in the plan. After more than 2 years of successful operation the Solana CSP plant has demonstrated that solar power can be a dispatchable generation source. As a result California, Arizona, and New Mexico commit to the development of a further 5 GW of combined PV/CSP solar generation by providing loan guarantees to developers. Major utilities begin to implement Availability of Supply (AOS) pricing models to replace Time of Use (TOU) based upon the growing penetration of renewables. So, for example, at noon on windy days electricity prices are lowered because even though that is a relatively high demand part of the day the available supply is also high. This approach encourages energy intensive activities to take place when inexpensive (from an operating cost perspective) renewable generation is available. 2017: The first large CSP/TES project funded by the Climate Investment Funds consortium is completed in North Africa and begins to produce reliable and renewable electricity for the region. An associated desalination plant allows for expansion of irrigation and agricultural development. Agreement is reached to develop an interconnection between North Africa and Southern Spain with the goal of incorporating more solar power into the European grid. Very high capacity interconnections between the major wind generation regions of the U.S. Mid-West, Manitoba and Saskatchewan are completed allowing for some balancing of variability in wind generation using hydro from the Canadian provinces. This configuration allows for the decommissioning of several large coal-fired plants in both the U.S. and Canada. A large compressed hydrogen gas + fuel cell facility is commissioned in New England in order to store energy produced by a large (191 MW nameplate) offshore wind farm. Total storage capacity is 500 MW-hours allowing this facility to provide 100 MW of dispatchable electricity 85% of the time (only several consecutive very calm days would cause generation to fall below 100 MW). The cost of the storage facility is $1.5 billion. As a result of the car-pooling promotion program single-occupancy-vehicle trips have declined across North America from 85% to 75% resulting in a significant and measurable decrease in fuel consumption and road maintenance costs in major urban areas. Major manufacturers begin to mass produce energy intensive appliances such as clothes dryers, air conditioners and plug-in electric vehicle chargers that can monitor available electricity quantities and prices by checking information on public service internet sites. These appliances and vehicle chargers could then automatically turn on and off in order to optimize operational costs. 2018: By the end of 2018 renewable energy sources in Europe and North America represent 25% of total electricity generation and almost half of that amount is truly dispatchable through the use of storage or renewable hydro backup. A number of storage technologies including CSP Thermal Energy Storage, flywheel, flow batteries, and compressed hydrogen gas + fuel cells have been successfully deployed at scale with an aggregate storage capacity of 50 GW-hours worldwide. Major interconnection projects in North America, Europe and North Africa are proceeding rapidly with most of the regulatory and pricing issues resolved through inter-governmental agreements. In the United States it has become possible to efficiently utilize Mid-West wind generation backed by hydro or other storage technologies in the load centers on the eastern seaboard. In order to enhance this capability and support time-shifting of demand the New England states, with 15 million residents are moved into the Atlantic time zone. Although much work still needs to be done it is clear that renewables can provide 100% of electricity generation needs by 2050.